You can see final results here. Provisional date for next year’s race is Sunday 17th November 2019. 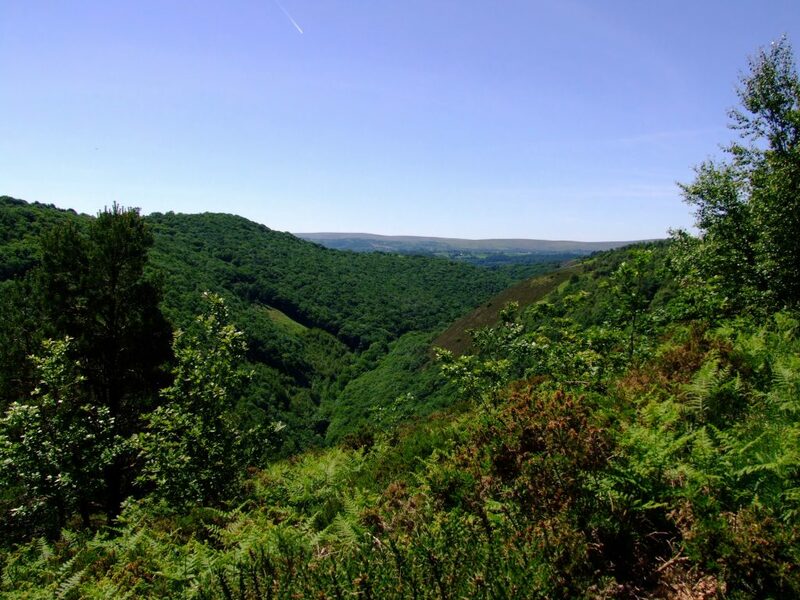 The Drogo 10 is an exciting and challenging 10 mile multi-terrain race that starts and finishes at Castle Drogo, taking in views of the stunning Teign Valley. Entries to this years’ event will open in June, with the race to run on Sunday 18th November. We plan to extend the course to make it exactly 10 miles this year, so PB potential is guaranteed! Notes: The location of the start/finish area may change slightly due to building works on the castle. 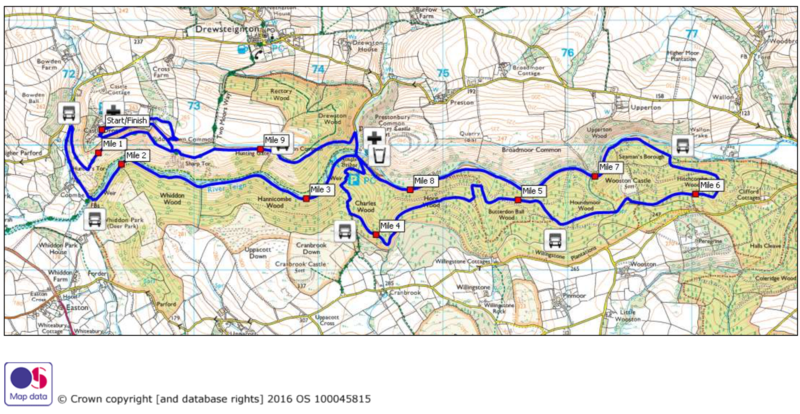 The exact routing of the course between miles 4 and 5 may vary slightly due to forestry work. A drink station is available at miles 3 and 8. From the castle, runners head down the driveway for 600m and across the grass and through the woods on Piddledown Common before descending steeply (take care!) to Sharp Tor and the main downhill track to the river. This is a long, occasionally narrow and steep section where overtaking can prove tricky. Just remember the sharp left at the bottom! Ahead lies the new bridge, built after the old one was washed a way by floods several years ago. Watch out for the short climb over the wall just after which can be a bit of a bottle-neck. From there on, a mainly flat course winds its way through woods, tracks and paths. At 3 miles you hit the first major hill. It twists and turns so you don’t know where the top is; believe me it’s a long way – half a mile to be precise. I ran the first section too fast and ended up walking. Near the top, an unexpected but welcome sharp left takes you back downhill. The track then gets narrower and steeper as it plunges down towards the river before a sweeping bend to the right marks the start of the long haul up the far side of the gorge. This is the time to dig in and keep going. The hill’s not too bad, but your legs are still complaining about the last one. Anyway it’s too late to turn round now – you’re past the half-way point. Thankfully the sight of a dense conifer forest ahead brings the inevitable steep downhill, back to the river. The front runners will charge down it so you might see a few lying at the bottom. A two mile flat section then leads back along the Teign; beware of the large rocks on the track. Eventually you reach Fingle Bridge and a water station. Make the most of your refreshment here, cross the river, take a deep breath, apologise in advance to your legs and prepare yourself for the famous Hunters’ Path hill back to Drogo. Don’t worry if you walk some of it, most do. But however you choose to propel yourself up the half-mile of unrelenting ascent, you’re in for a real treat. Just at the point where you want to give up running for good, the path suddenly flattens out and a stunning view of the Teign Valley provides just the inspiration you need for the final undulating half mile to the finish. A last few steep steps, and a skip across a field take you into a final section of flat woodland before emerging back at the castle and the finish. 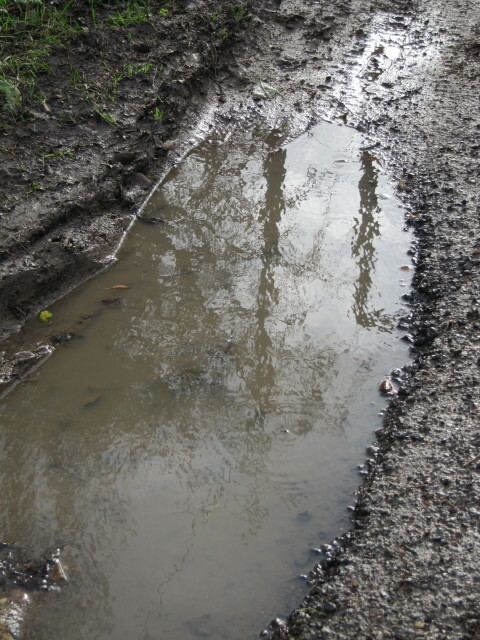 The Drogo is usually quite wet and muddy by early November, so some good grippy multi-terrain trainers are recommended. Some of the faster runners prefer to wear fell shoes, but be aware that long sections along the river can be quite hard and stoney. As for clothing, the Drogo route is relatively well-sheltered from the elements except for the first and last sections of the course. Even so you are advised to bring a lightweight running jacket with you if you don’t like getting cold and wet. Remember to bring some dry clothes with you to change into afterwards. Please note that there are no changing or showering facilities at Drogo. Spectators are advised to expect typical Dartmoor weather for the time of year. Our advice is to expect the worst. What if the river floods? In 2005 the river Teign burst its banks and for the first time we had to re-route the course on the day. Essentially this avoided all the flat bits along the river, turned the race into a classic fell race out-and-back, and reduced the distance by about two miles. In the event that this happens again, the same alternative route will be used, safety considerations permitting. This will delay the start of the race by about 30 minutes, to allow marshalls to re-position.